It is clear from your life (I jest; we're friends) and your review of this album that you clearly are not a fan of anything successful. Otherwise your review of the album that most likely introduced you (I think you have made comment to that end) and most of the world to the band would be treated a little kinder. I think it is fair to say that if Floyd didn't have this breakout album, the same album where they developed the Waters sound that maintained them through their most successful years, they would have been a musical footnote. Their early experimental stuff is great, but not sustainable for a mass audience of which you are a member. In other words, had you not heard songs from this album on the radio and become interested, we as an audience would not be reading your reviews of their collection. I'm just saying, I don't believe your feelings for this album have always been the same as you describe them. 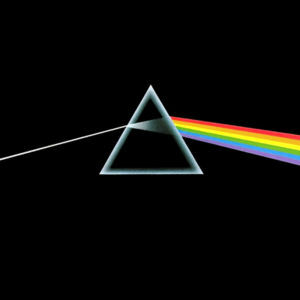 I do notice, 2 out of 3 times, when there is a lull in band practice you pull out a Floyd tune. And, 3 out of 5 times it will be something from Dark Side. Okay, probably one of the 4 songs you mentioned loving the most. Actually, there have even been times where we do 2 to 4 of the songs in order from the album because you keep going. I'm just saying, I think you're not being honest with yourself. Personally, I didn't really "discover" this album until a year or two ago as I was going through and identity crisis. Okay, a midlife crisis. (Technically, I am entering that arena.) Of course I knew and owned the album, I just hadn't given it much time or thought. I discovered two things from repeated listening of the album. 1) It works as a whole, continuous piece. Truly an album which is something we are loosing today. Many artists (unlike our humble host, Mr. Rambler) have forgotten the value of a related group of songs strung together. For me, who is neither stoned, nor (sadly) getting laid, nor both. Sigh. I find the pace and feel of the album just right. I do not have a feeling of sameness across the album but a feeling of continuity. Also, I am a fan of the reprise, so I don't have any issue of a theme, especially one that works, cropping up and tying the album together. 2) Back to the midlife crisis thing: Breath damn near ruined me. If you are getting older, evaluating your life, and coming to the conclusion that you have just coasted along and never realized that time is passing and this is the only life you get and you are aging into the realm where you have passed the opportunity to do certain things, don't listen to this song. That damn line about "No one told me when to run / I missed the starting gun" just kept going over and over again in my mind. It was on this album that Waters showed his brilliance at writing in simple language and conveying so much. Although he says he was just trying to do what Barrett did, he clearly found his own voice here. So my review, to completely counter your review, is this album is multi strontium (I think it's gold, platinum, rubidium and then strontium) for a reason. It's incredible production (more perfect then most of what I hear today), incredible musicianship, yes, the themes of the lyrics, and even the use of spoken clips over the very nice solos make this album deserving of the praise it has received over the years.